The Polar Vortex couldn’t stop me from getting my deep-fried high on while in Chicago this past January. 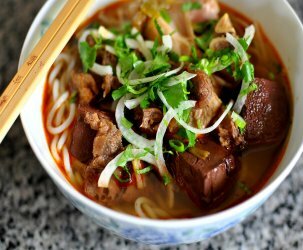 In fact, it may have contributed to my appetite—a full belly means a warm Gastronomer. The first stop on the Chicago feeding frenzy took The Astronomer, Cousin Jackie, and me to Firecakes Donuts. 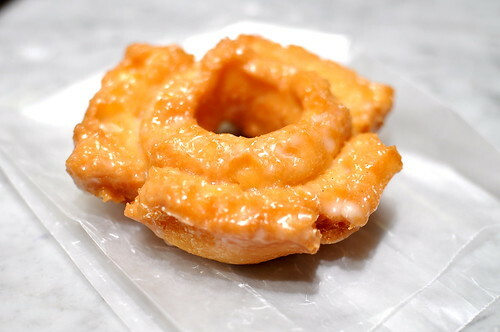 Opened last spring by Jonathan Fox (President and CEO of 3Sixty Dinning Intelligence and owner of La Madia), Firecakes is a notable player in Chicago’s robust gourmet doughnut scene. 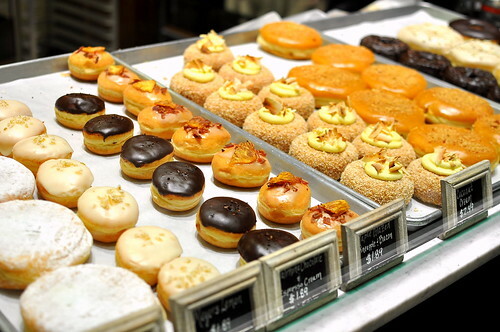 The doughnuts made in this teeny 600-square-foot shop use an heirloom recipe that came from Mr. Fox’s wife’s great-grandfather, Billy Hobbs. After waiting in a painfully cold and winding line at The Doughnut Vault during my last trip to Chicago, it was really great to stroll on in and be served straightaway this evening. For our pre-dinner “snack,” we selected four doughnuts to share. 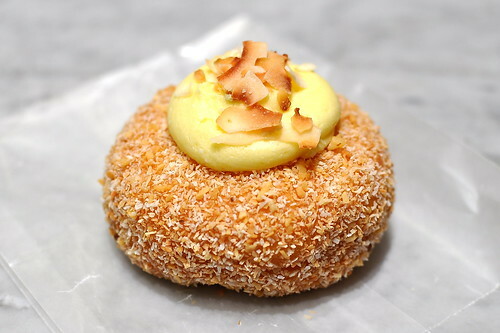 First up, a light and lovely cake ring dusted with toasted coconut flakes and prettied with coconut cream ($2.49). This well-balanced creation was my fave pick of the four. The gal behind the counter recommended the old fashioned buttermilk ($1.97), which turned out to be strong as well, with plenty of crisp and caramelized crags that I adore. 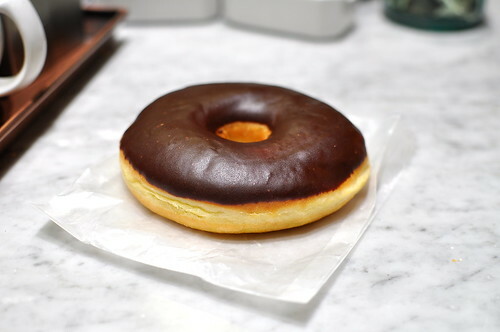 Cousin Jackie desired the yeast-risen doughnut iced with deep, dark Valrhona chocolate. The texture of the dough was perfectly good, but not as impressive as my favorites Dough in Brooklyn and Blue Star in Portland. However, the icing had admirable integrity. 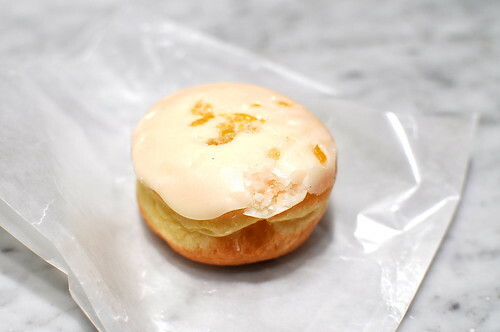 The Astronomer couldn’t resist the filled Meyer lemon ($1.89) doughnut. 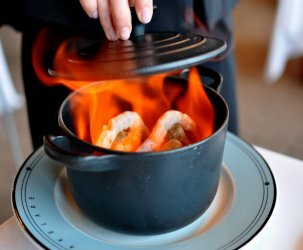 The bits of candied zest on top were fierce and fabulous. 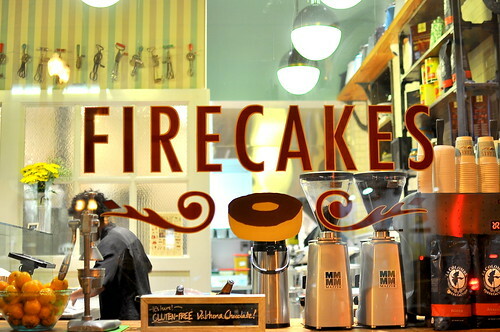 From yeast to buttermilk to cake and filled, Firecakes does it all very well! Wow! Never heard of this place! 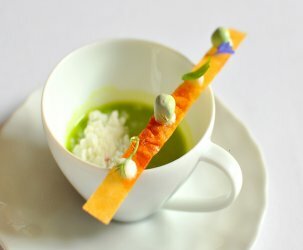 Definitely bookmarking for my next trip to Chi-town. That coconut creation sounds positively dreamy! Diana, it’s relatively new (opened last year). You should come when they have the doughnut ice cream sandwiches in summer!! I’m loving all these Chicago posts! Firecakes is right next door to my office. They have great coffee drinks as well.